or hydrated potassium aluminium sulfate. 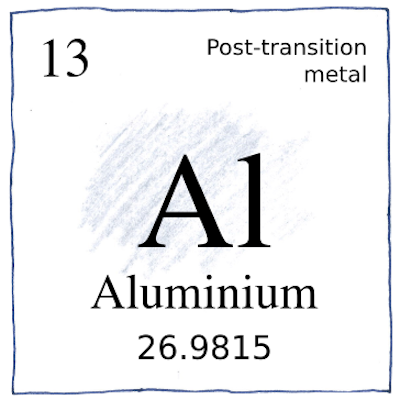 he thought alumium would turn out to be a metal. became accepted in the United States. the -ium suffix, resulting in aluminium. As an citizen of the United States, I am likely to call this element “aluminum.” This spelling is printed on my box of Reynolds Wrap. Therefore, “aluminium” seems affected. Before the introduction of the Hall-Héroult process in 1888, aluminium was more rare than silver. In 1884, the pyramidal aluminum apex for the Washington Monument was the largest piece of alumminum ever cast, at 100 ounces.